Policy concerns aside, there is a procedural question at stake with the bill. It is scheduled to be considered under a procedure called suspension of the rules. Under this procedure, bills are debatable for only 40 minutes, and two-thirds must vote in favor of the bill for it to pass. No amendments are allowed. Traditionally, bills considered as suspensions are non-controversial such as naming post offices, encouraging action in a policy area, or requiring reports to Congress. Tomorrow, the House will be taking up H.R. 1567, which would authorize $1 billion under this suspension procedure. Most members of the House won’t even be there for the debate. Tuesday is a fly-in day. That is Beltway jargon for the first day of the week the House is meeting for votes. And votes that day won’t be until 6:30 pm. Debate starts at 2pm. Most members arrive close to 6:30pm to maximize the time they have to spend with their constituents. Leadership knows that, so they schedule bills to be debated when members aren’t there. And suspensions - like this $1 billion bill - can be voice voted. 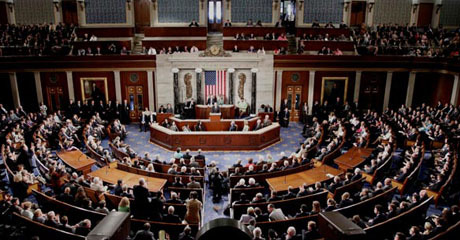 The American taxpayer deserves better than to have $1 billion of their money authorized to be spent on a program of dubious effectiveness with limited debate in a mostly empty House chamber on a fly-in day. Regular order and respect for the importance of thorough debate requires that this bill be removed from the suspension calendar and debated under regular rules. Our country is $19 trillion in debt. Trying to sneak in more spending and commit the United States to a foreign policy decision using a procedure reserved for minor bills does a disservice to the voters. House leadership may even avoid a recorded vote and pass this significant legislation by voice vote. Confident House leaders should welcome a full debate on this bill and not work to avoid one. This web page is so amazing for helping in fixed your connections bluetooth audio http://windowstuts.net/connections devices wireless displays with assemble your computer system or PC so this is helping page and solve my problem in minutes.